The just vindication of the Law of God, and no less just accusation and condemnation of the sin of man. SIN, The Plague of Plagues, was first published in 1669, four years after the Great Plague of London. The author wrote: "As to the sinfulness of sin, I have indeed handled it most fully, as it is against man's good and happiness." (1) That God made all things very good (Genesis 1:31). They were all endowed with the perfections which were suitable to their several beings, so that none of them could find fault with or complain of God, as if he had owed them any thing or had made them defective. (2) Yet of these the two most eminent and principal degrees of creatures quickly degenerated. Some of the angels sinned, and kept not their first estate, but left their own habitation (Jude 6). And by giving way to their subtle insinuations, the man Adam, who was a common person, sinned also (Genesis 3). And thus ‘by one man sin entered into the world, and death by sin; and so death passed upon all men, for that all have sinned’ (Romans 5.12). (3) As to the angels that fell, God left them irrecoverable. For God spared not the angels that sinned, but cast them down to hell (2 Peter 2.4), and has reserved them in everlasting chains under darkness, unto the judgment of the great day (Jude 6). Christ Jesus, the Mediator and Redeemer, took not on him angels, or, as it is in the margin, takes not hold of angels (Hebrews 2.16). But it pleased God to pity man; his saving grace and loving-kindness have appeared to man, and that, in Christ Jesus (Titus 2.11; 3.4). His delight was with the sons of men, the habitable parts of the earth (Proverbs 8.31), and therefore he took on him the seed of Abraham (Hebrews 2.16). (4) This doctrine of God our Saviour, the Gospel-doctrine, supposes that man is a sinner. It is a faithful saying, and worthy of the best and all acceptance and reception, that Christ Jesus came into the world (on this very errand and for this purpose) to save sinners (1 Timothy 1.15). The doctrine of repentance supposes also that man has done amiss (Matthew 9. 13). The doctrine of faith in another for righteousness and hope concludes man to be without righteousness and hope in himself (Ephesians 2.12,13). The end of Christ’s sending the Holy Spirit was that he might, in the first place, convince of sin (John 16.8). (1) For admiring the free and rich grace of God. (2) For believing in our Lord Jesus Christ. (3) For vindicating the holy, just and good law of God, and his condemnation of sinners for breaking it. (4) For hating sin, and repenting for and from it, thereby taking a holy, just and good revenge on it and ourselves. (5) That we may love and serve God at a better rate than we ever did in the little and short time of innocence itself. (6) And, lastly, that this black spot may serve to set off the admirable, incomparable and transcendent beauty of holiness. (1) By way of negation and abhorrence, ‘God forbid!’ Far be it from me or anyone else to think so! No! By no means! To find fault with the law would be to find fault with God. The law is not to be blamed. What is, then? for something is to be blamed. (2.) To this he answers, by way of affirmation and accusation, that sin is the true cause of death. The commandment condemns, or is death to man, not of itself, but because of sin. Hereby sin appears--not only like itself, but itself--sin, yea sinful, yea exceeding sinful sin; not in a disguise, as it is when committed, but in its own lively colours, or as we should rather and more appropriately say, its dead and deadly colours. It is, he says, ‘Hamartia’, sin in the abstract, and that is reiterated and repeated for certainty and assurance, as Pharaoh’s dream was. It is sin, it is sin, and this sin is ‘Hamartolos’, sinful or a sinner; it is nothing else but sinning and sinful sin. It is masculinely and vigorously sinful--for though Erasmus concludes that this conjunction of masculine and feminine in the Greek is the Attic dialect, others think that the Apostle brings in sin as if it were a person. In verses 17 and 20 he says: ‘It is not I, but sin’, as if it were a person. Unless we may read it as Faius does: that the ‘Hamartolos’, the sinner, might become sin; this is the same sense as the objection made in verse 7, Is the law sin? ; that is, Is it criminal and guilty? But, however we read it, we are sure of this, that it denotes the malignant, pestilent and pernicious nature and operation of sin, its own name being the worst that can be given to it. Yet, as if this were not meaningful enough, it is so Kath huperbolon, exceeding, above measure, excessively, or in the highest degree sinful. For a hyperbole is an extraordinary and the highest degree of speaking. The Arabic version has it superans excessum; it is extremely, indeed beyond all expression, sinful. I may illustrate the scope and meaning of all this by a common occurrence: It is as if a criminal said to the judge, Oh, my Lord, how cruel and unmerciful you are to condemn me to die! No, says the judge, it is not I, it is the law. I am only the mouth of the law. No, says the law, it is not I, it is sin. If you had not sinned, I would not have condemned, for ‘the law is not against the righteous’ (1 Timothy 1.9). No, against such there is no law (Galatians 5.23), no condemnation from it. You may then in me, as in a glass, see what a deadly, destructive and killing thing your sin is. Every mouth must be stopped, there is no room for complaint against God or his law, for, like all others, by becoming guilty you have fallen short of the glory, and are subject to the judgment of God (Romans 3.19-23). So, by the commandment, sin appears to be a desperate, malignant thing, the proper, true and only cause of man’s condemnation and death. 1. The law of God as a whole and in every part is good. It is not only not sin, i.e. not culpable or criminal (verse 7), or only just (verse 12), or spiritual (verse 14), but good (verses 12,13) It is good, not only in itself, but relatively in its institution with respect to man, for it was ordained to life (verse 10). 2. This good law, when transgressed, makes man over to death. Patience, that temperate and harmless thing, if abused, turns to rage and fury. So the law, good though it be, when abused condemns and kills. 3. Though the law condemns man’s fault, and man for his fault, yet still the law is good and not to be blamed. The law is as good as ever it was; it is to be justified by man, even when it condemns man. Man had no reason to break the law, and he has none to find fault with the law, though it binds men over to death for breaking it. 4. It is not the law, but sin, that works man’s death and ruin. Sin aims at no less, and if grace does not prevent, it will end in no less, for the end and wages of sin is death (Romans 6.21,23). 5. Sin works man’s death and destruction by that which is good, namely, the law. When sin has used man to break the law, it uses the law to break man, to undo him by condemnation and death. 6. Sin is therefore exceedingly sinful and wicked. It is most immeasurably spiteful, poisonous and pernicious, because it kills men. And not only so, but it kills them by that which is good, and was appointed to man for life; it turns food into poison. Ut agnoscatur quam sceleratus peccator sit hoc peccatum, et quam pestifera res, dum per mandatum rem solutiferam, exserit virus suum (In order that it may be recognised how vicious is the sinner, and how pernicious the matter, this sin, while through the commandment yielding a healthy result, produces its own poison), Clarius. This is like the horrid and cursed wickedness our stories tell us of, whereby a King was wickedly poisoned by the Cup of Blessing. 7. Lastly, sin by the commandment appears to be excessively sinful. If we look on this through the microscope-glass of the law, it will appear a most hideous, devilish and hellish thing, the most wicked, mischievous, virulent, villainous and deadly thing that ever was. Sinful sin! Worse than the Devil! More will be said of this later. (1) What sin is, the thing so much and so deservedly evil spoken of. None can speak well of it, but they who speak ill of it, for they speak best who speak the worst of sin. 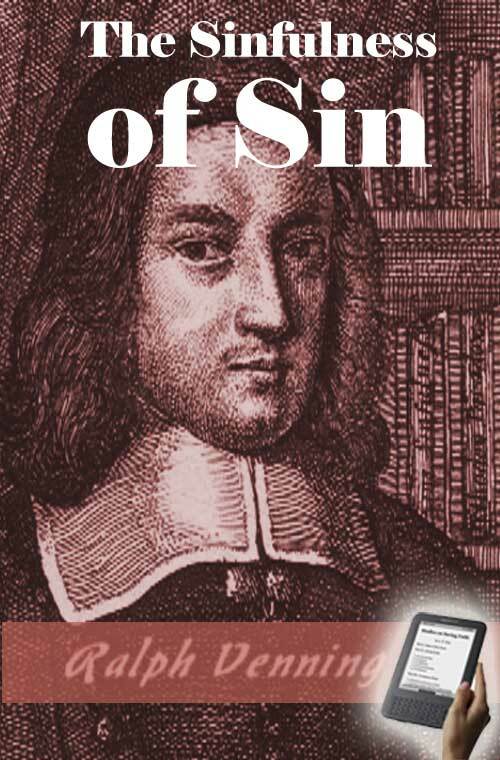 (2) In what the sinfulness of sin especially consists: So we may lay open not only its effects but also its nature. (3) What witness and evidence there is to make good this indictment and charge against sin, that it is so vile and abominable, so sinful, as the Apostle calls it. (4) And what use and improvement is to be made of the doctrine of sin’s excessive sinfulness.